Commencement ceremonies for the University of Illinois Springfield will begin at 2 p.m. on Saturday, May 12, at the Prairie Capital Convention Center, Ninth and Adams streets in downtown Springfield. Of the 1,316 students eligible to graduate, 770 will participate in the ceremony. 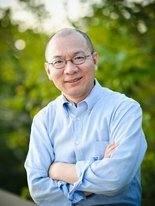 The commencement speaker will be UIS Public Affairs Reporting alum Wenguang Huang, a Chicago-based journalist, writer and translator. He is the author of The Little Red Guard, a memoir that chronicles his growing up in central China during the 1970s. The book reveals his family striving to fulfill a grandmother’s last wish during a period of rapid societal change. The book, released by Riverhead, Penguin on April 26, 2012, has been mentioned by O Magazine and selected among the top 10 memoirs by Publishers Weekly for spring 2012. A former staff member of the New York Times Beijing Bureau, Wen contributes regularly to Fortune, the New York Times, the Asian Wall Street Journal, the Christian Science Monitor, Chicago Tribune, the Paris Review, The South China Morning Post and Chicago Public Radio. In 2003, Wen started introducing contemporary Chinese writers to the West and since then, he has translated Chinese writer Liao Yiwu’s The Corpse Walker: Real Life Stories: China From the Bottom Up, God is Red, For a Song and One Hundred Songs and Yan Xianhui’s Women from Shanghai. Wen is the recipient of the 2007 PEN Translation Fund Award. Wen grew up in northern China and obtained his bachelor’s degree in English Literature and master’s degree in journalism from Fudan University in Shanghai, China. In 1989, Wen participated in the student pro-democracy movement in Tiananmen Square. After the government’s brutal crackdown, he came to Springfield and gained his master’s degree from the UIS Public Affairs Reporting program in 1991. While earning his degree, he interned at Illinois Issues magazine, covering Illinois state government. Following his graduation, he interned with the Illinois Legislative Research Unit, where he gained additional first-hand knowledge of how democracy works at the state level. Since 1994, Wen Huang has held numerous day jobs for non-profit organizations and corporations. At present, he pursues his journalistic and book writings in his spare time. Stephen Schwark, professor of Political Science at UIS, has been chosen to serve as grand marshal. The student speaker will be Jessica A. Odigie, who will graduate with a bachelor’s degree in Political Science & Legal Studies. Accountancy: Megan M. Canny – B.A., Preston Todd Searl – B.A. (Peoria), Amanda J. Ball – M.A. Biology: Nathan T. Dennison – B.S., Benjamin Briddell – M.S. Business Administration: Lawrence Paul Crowley – B.B.A., Javan Daniel Hall – M.B.A. (Peoria), Amruta R. Prabhuwaingankar – M.B.A.
Chemistry: Mark W. Frakes – B.S. Clinical Laboratory Science: Taylor Danielle Golden – B.S. Communication: Ryan B. Ivemeyer – B.A., Emily Jean Fox – M.A. Computer Science: Andrew W. Miller – B.S., Timothy W. Robert – M.S. Criminal Justice: Lindzee Edwards– B.A. Economics: Tyler Daniel McKay – B.A. Educational Leadership: Adam Bradley Dean – M.A. English: Hannah Rebekah Radford – B.A., Sarah Lauren Collins – M.A. Environmental Sciences: Gregory R. Fretueg – M.S. Environmental Studies: Araceli Eva Lopez Martinez – M.A. Global Studies: Johanette Druvinka Croos Moraes – B.A. History: Zachary James Clifton Watkins – B.A., Eleanor Claire Jerry – M.A. Human Development Counseling: Margaret Mary Wheelhouse – M.A. Human Services: Ruth Elaine Boardman – M.A. Legal Studies: Lisa M. Daykin – B.A., Joseph J. Walat – M.A. Liberal Studies: Valeri Jean Cooke – B.A. Management: Corey Matthew Curtis – B.A. (Peoria), Debra Sue Schmitz – B.A. Management Information Systems: Joshua Daniel Kilhoffer – B.S., Anusha Mathur Subramaniam – M.S. Mathematical Sciences: Carlin Thomas Venaglia – B.A. Philosophy: John Kevin Byers – B.A. Political Science: Caitlyn Elizabeth Barnes – B.A., Robert Joseph Skorczewski – M.A. Psychology: Rachel A. Tohme – B.A. Public Administration: Anupama Surendran – M.P.A., Nancy Leann Huyck - D.P.A. Public Affairs Reporting: David James Thomas – M.A. Public Health: Nelson Videnyi Agbodo – M.P.H. Social Work: Kendra V. Johnson – B.S.W. Sociology/Anthropology: Tiffany D. Gollahon – B.A. Teacher Leadership: Charity Lynn Workman – M.A. Visual Arts: Karen Elizabeth Boerema – B.A. A number of events are planned for graduates, their families and guests, beginning with a reception for Peoria-area students on Friday, May 4. Separate brunches for CAP Honors graduates and online degree graduates are scheduled for Saturday morning, May 12. Almost 200 University of Illinois Springfield students helped plant over 3,500 trees at Carpenter and Gurgens Park in Springfield on Arbor Day. It was all part of the Springfest service event. While it may have been hard work for some, junior Nathan Burkman said it is worth the time and effort. The tree planting was his first major volunteer event. The students spent the afternoon digging holes, placing protectors over the trees, and making sure the plants received enough water to grow successfully. “We’re trying to instill a sense of environmental responsibility in our students and a sense of commitment to community in our students and this serves both purposes,” said Mark Dochterman, director of the UIS Volunteer & Civic Engagement Center. A service event is a relatively new part of Springfest, a week-long event during which students compete in a variety of fun and educational events. “It’s a great way to do something fun and good for our community as well. I’m glad they put together as our final Springfest event,” said Boyd. 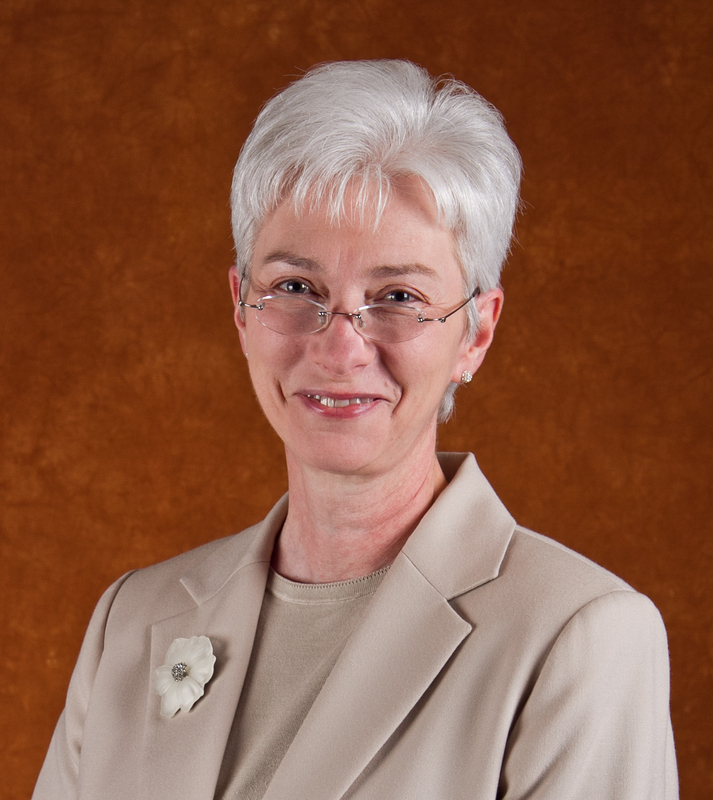 Lynn Pardie has been selected from among a pool of over 70 candidates from across the U.S. to become the Provost and Vice Chancellor for Academic Affairs of the University of Illinois Springfield (UIS). The Provost is the university’s chief academic officer, the second highest administrative position in the university, and is responsible to the Chancellor for the implementation of the academic priorities of the university. Pardie has been serving in that position on an interim basis since January of 2011. Pending approval of the University of Illinois Board of Trustees at its May meeting, she will assume the permanent position of vice chancellor and provost on July 1, 2012. A native of Muscatine, Iowa, Pardie is a Phi Beta Kappa graduate of the University of Iowa where she was awarded a degree in Psychology with Highest Distinction and received the Ernest R. Johnson Memorial Prize for Academic Standing. She also holds a Ph.D. in Psychology from Southern Illinois University at Carbondale and is a licensed clinical psychologist. Pardie joined the faculty of the University of Illinois Springfield in 1989 and is a tenured professor in the Psychology Department. Pardie has received a number of academic awards, including the UIS Faculty Excellence Award, which is given to faculty members who best exemplify the ideal of the teacher-scholar model and who are recognized as role models by their peers. Pardie's administrative career encompasses ten years of progressively responsible appointments, including Chair of the Psychology Department, Interim Associate Dean of the College of Liberal Arts & Sciences, and Associate Vice Chancellor for Graduate Education & Research. The University of Illinois Springfield serves approximately 5,000 students in 44 undergraduate and graduate programs in four colleges, with 208 full-time faculty, 530 staff and an annual operating budget of $82.5 million. The University of Illinois is a world leader in research and discovery, the largest educational institution in the state with more than 76,000 students, 2,400 faculty and staff, and campuses in Urbana-Champaign, Chicago and Springfield. The U of I awards more than 19,000 undergraduate, graduate and professional degrees annually.